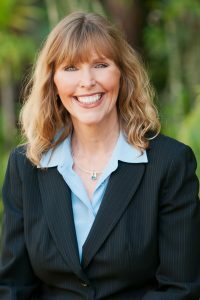 Eileen Hahn is a principal in the San Diego-based consulting firm, Organization Effectiveness Consultants. She partners with leaders around the world to establish new levels of performance, financial results, teamwork, and employee work passion. Eileen examines current processes and systems, collaborating with organizational leaders to implement changes to improve productivity and profitability. She works extensively with organizations going through rapid growth, downsizing, mergers, acquisitions, restructuring, and cultural transitions. She facilitates succession planning, strategic planning, organizational change, joint problem solving, leadership development, and team building. She partners with organizational leaders to implement interventions that enhance organizational effectiveness. Eileen has extensive experience in executive and board assessment, evaluation, and development. She designs C-suite selection and evaluation processes and works with Boards of Directors to develop, implement and facilitate these processes. Ms. Hahn has more than twenty years of experience as an internal and external organization development professional. She has worked with a wide variety of public, private, and non-profit organizations. She has extensive experience working with family-owned businesses on organizational structure, design, strategic planning and succession planning. Eileen also has experience as an Executive Coach, Human Resources Director, Corporate Training Director, Sales Manager, and Recruiter. In addition to her consulting activities, Eileen is a delightful and engaging professional speaker and university instructor. She combines practical knowledge, tools and techniques with warmth and real world examples and experiences. Since 1989, she has taught organization theory and behavior, training and development, performance management, recruitment, and selection to undergraduate and graduate students at Chapman University, San Diego State University, and the University of California at San Diego. Eileen was the President of the American Society for Training and Development of San Diego in 1994. Eileen has a strong service orientation and commitment to her clients. Her clients include national and international organizations across industries: Hunter Industries, Paul Ecke Ranch, H.G. Fenton Company, Express Employment Professionals, San Diego Padres, Ericsson Wireless Communications, Kyocera Communications Inc., Pfizer Inc., Anadys, Optimer, General Atomics, Hamilton Sundstrand Corporation, Trident Technologies, LLC, Occidental College, The Chip Merchant, General Motors, Center Theatre Group, Anheuser-Busch Corporation, Sea World Parks and Entertainment, and LEGOLAND. These companies comprise a partial list of Eileen Hahn’s clients.